It's heads up time, and this weekend, Sat. March 4th, due to the impending Grand Prix Car Race. the WHOLE of Saturday Morning Market moves out of Al Lang Parking Lot to Williams Park and surrounding streets that will be closed off, to hold our regular Huge Market place. 3rd Street North, which is a one-way heading north, will be closed off from 1st Avenue North to above 2nd avenue north, plus, 2nd avenue north between 3rd and 4th streets will be closed off and full of vendors too. That means the whole of market, 140 vendors plus, and our regalia will be taking over a huge area surrounding Williams Park, just for this Saturday. Armstrong Nursery is excited as we have been given the task of creating a huge, colorful plant vending area across the entire intersection of 1st Avenue north and 3rd street - Wow ! So of course, we will do our best, and we have great plans and we are going to have one of the biggest, most colorful vending spaces around. And, what gives us the most bang for color? You guessed it, Bougainvillea !! 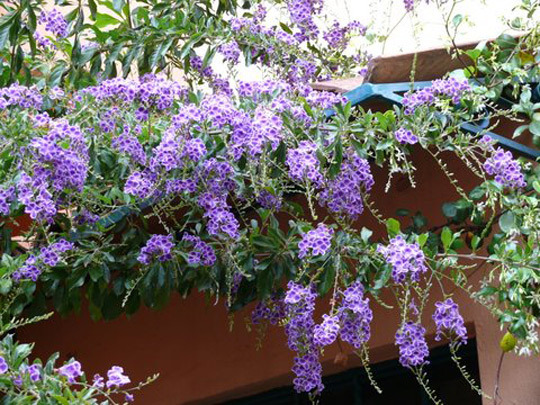 From landscape containers, to trellises, to hanging baskets, we will have a great selection of some of our favorite Bougainvillea specimens. Along with the bougainvillea, we have a new gorgeous crop of Sapphire Shower (pic below) mini trees that are sure to delight. 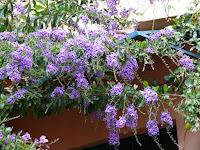 Also called "Duranta", its a great plant for the garden, for butterflies and bees, blooms all year round and is easy to maintain. As usual, we will have tons of Mini Succulents, Exotic tropicals, rare geraniums, papyrus, Herbs, Lavender, Mint, Celosia and much more. To help our customers get to us, and to the market this Saturday, we urge you to use nearby parking garages and side streets to make it easier on access. There still will be live music, tons of great food, bathrooms and everything else we can think of to make this destination market day a great one for all our loyal customers. Market hours are the same - 9am-2pm, and, this is a great time to check out the ambiance of Williams Park, where we hold our Annual Summer Market. We hope you can join us ! 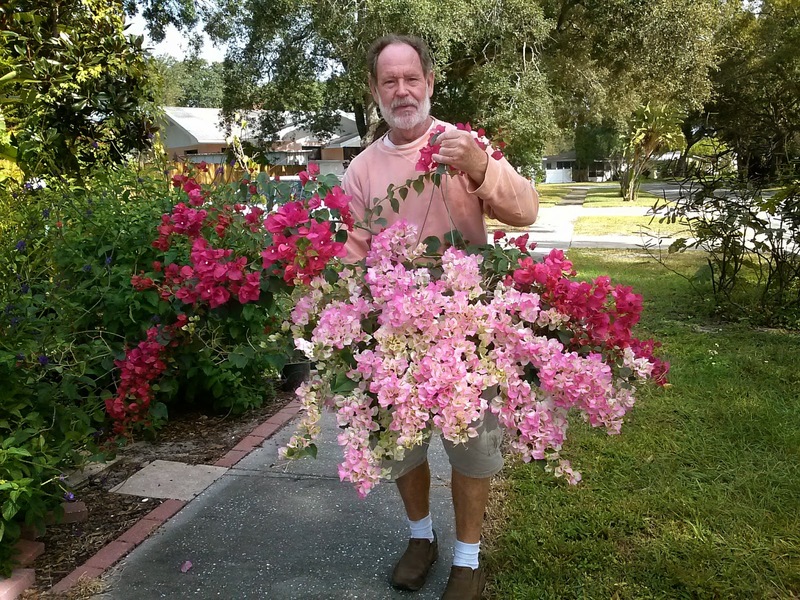 The following weekend, we will be off to Leu Gardens in northwest Orlando for their hugely popular annual Spring Botanical show weekend - stay tuned for details about that.